After several years of reign of terror and evading arrest, police officers finally arrested a Abdulrazak Kareem popularly known as Falapa, for alleged murders, gang war and destruction of property on the island of Lagos, PM Express reported. Falapa was persecuted and arrested by police officers of the Adeniyi Adele Division and transferred to the State Command, Ikeja, Lagos. Police sources said that Kareem, who was allegedly the leader of the Okepopo boys, was arrested on Friday after being declared wanted for his alleged criminal activities on the island and its surroundings in the state. It was also discovered that the suspect had been involved in cult wars and had caused serious violence that had claimed so many lives in the past. It will be recalled that in September of 2017, a gang war broke out between the Okepopo children and the Onola children that residents attributed to the supremacy struggle in the community. 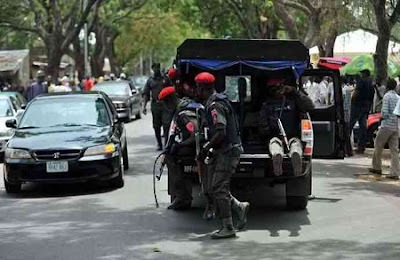 The supremacy of the war that lasted more than a week allegedly led to the murder of six people from both gangs, while it was said that the properties that were worth millions of Naira had been destroyed. A source under the anonymity confirmed to the arrested ones of Falapa to PM Express saying: "Yes, Falapa was arrested! The police officers of the police division of Adeniji Adele arrested him on Friday". He was still not sure if the police had arrested him with weapons, since it was said that he was always in possession of weapons wherever he was in order to carry out operations at any time. The news of his arrest spread like a fire on the Island, as most residents who knew about their activities expressed their happiness and praised the police for their efforts as they went to the police station to confirm their arrest. It also met that residents have begun to provide useful information on how other members of their gang who had terrorized the area for several years can be arrested.